Does Your State Permit Rabies Vaccination Medical Exemptions? 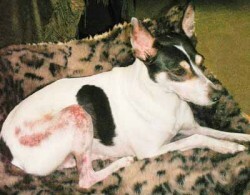 Updated 7/13: You and your veterinarian both agree: your dog is too ill to be vaccinated. Animal Control insists that you vaccinate against rabies. What should you do? Kris Christine, Founder of the Rabies Challenge Fund, has been instrumental in helping to change state laws to allow rabies vaccination medical exemptions for unhealthy dogs! See below the language of the various state laws (supplied by Kris). If your state isn’t listed, please change the law! Virtually every exemption was brought about by concerned pet parents and their veterinarians not wanting to vaccinate a health-compromised pet. Animal Control sends a notice stating that your dog’s rabies vaccination is due. Some of us will vaccinate readily. Because it’s legally mandated, it must be safe, right? Besides, what choice do we have? Others of us panic, desperate to avoid the shot at any cost. We remember what happened the last time our dog had a rabies vaccination. We wonder, will our dog survive another?